Did you ever think the day would come where I’d use a wheat wrap in one of my recipes? Bet not. 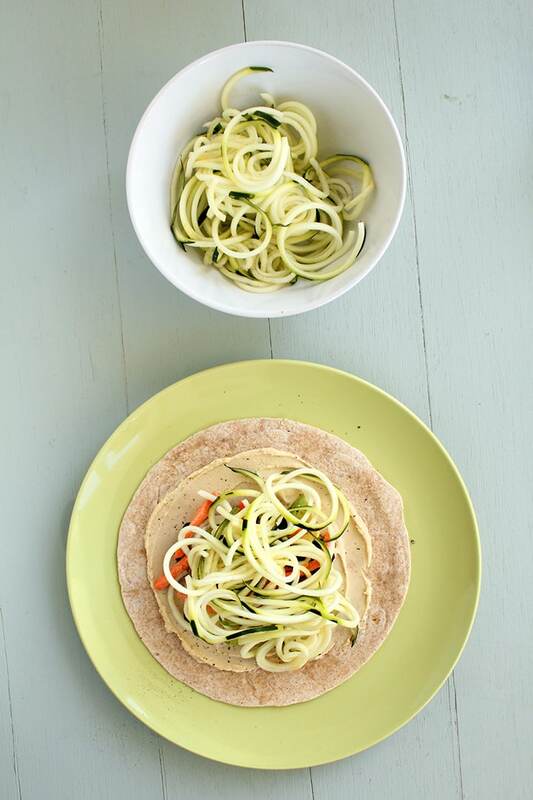 Well, today I’m sharing with you what I eat for lunch on a pretty regular basis: spiralized veggie noodle wraps. 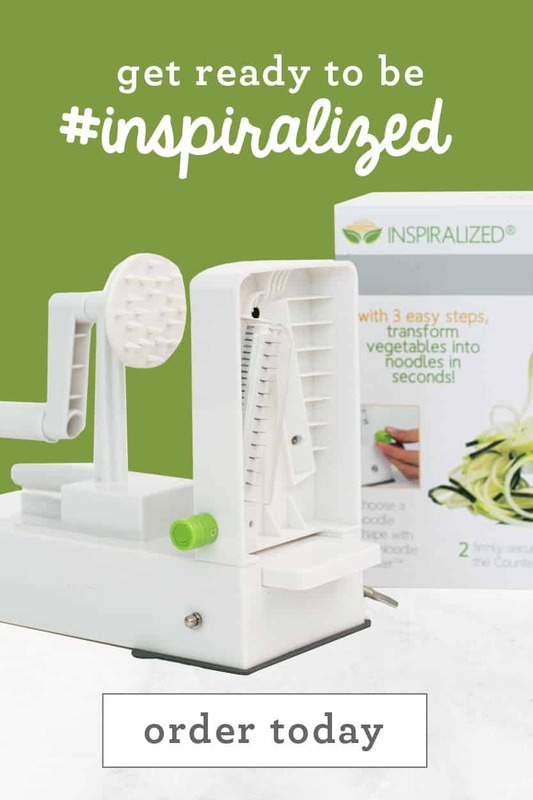 When you first start off with a spiralizer, you can’t help but want to make every one of your favorite pasta and noodle dishes into a spiralized (or, ehem, Insprialized) version. 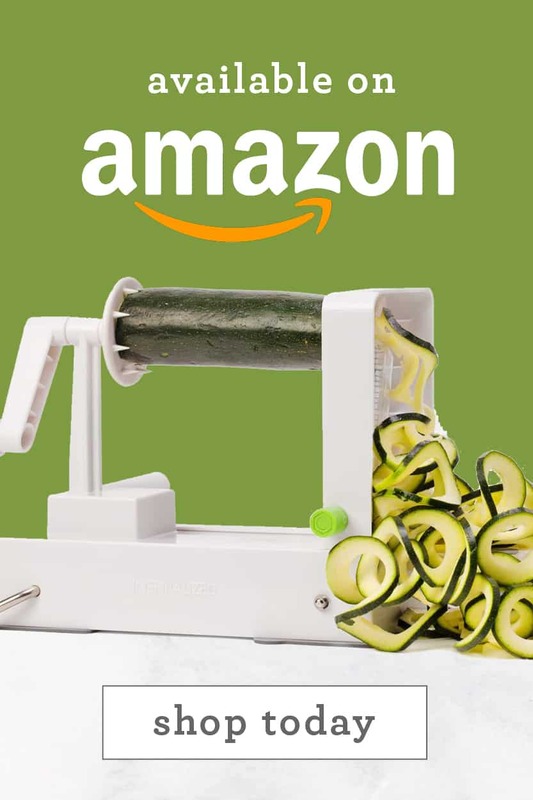 After a while, you start to realize that spiralizing veggies is more than a replacement for carby, wheat noodles: it’s a revolutionary way to taste and experience vegetables. When you spiralize a vegetable, it’s form changes of course. For example, a zucchini goes from a dense cylindrical veggie into a great big bowl of noodles. Tasting a zucchini in this form gives it a new life – eating it raw as a noodle is much more enjoyable than eating it diced or cubed raw. I can’t explain the chemistry of it, you’ll just have to trust me on this one. Why do I love veggie noodles in wraps so much? I dig the crunchiness! 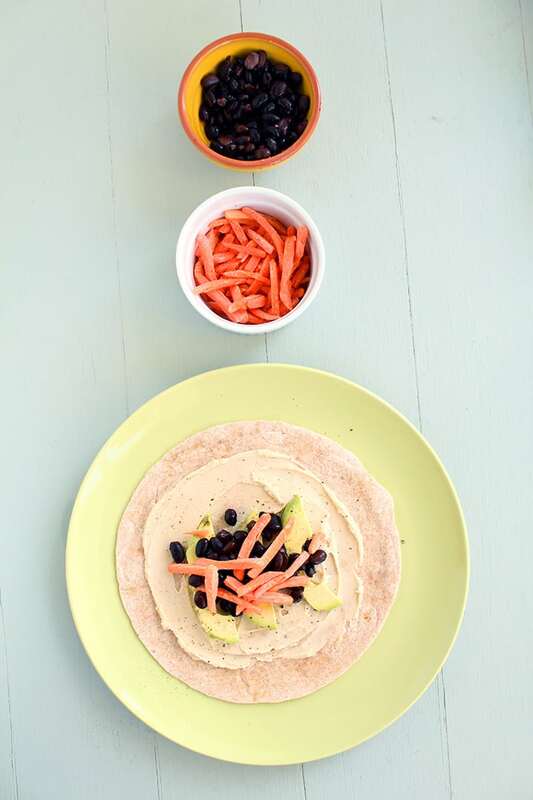 You can use carrots, cucumbers, beets, and so many other crunchy veggies to create a healthy wrap jam-packed with nutrients. Pair any noodles with a creamy dressing or condiment like hummus, mashed avocado, country dijon mustard, or a Greek yogurt based “mayo” and the texture combination is mouth-watering! Move over sliced lettuce and tomato…. There’s a new cat in town! Let me show you how simple it is to make and then I’ll let your imagination run wild with possibilities. 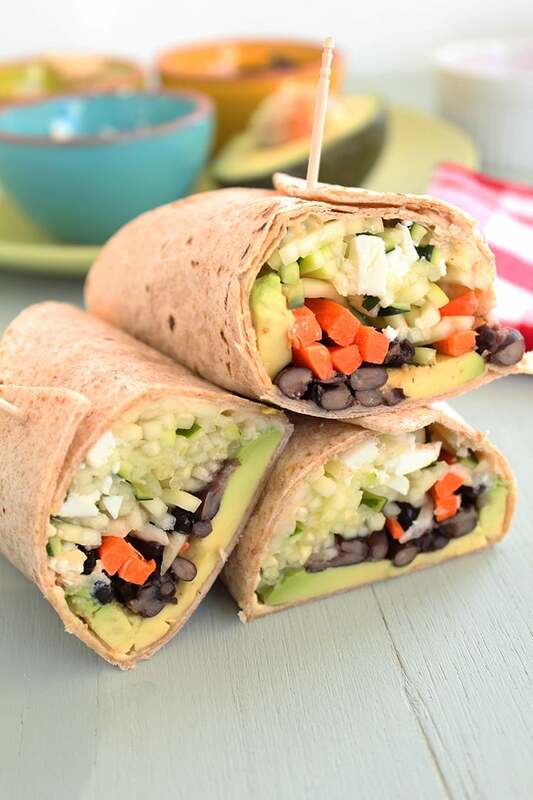 NOTE: Before we start, make sure to buy a wrap that’s “clean.” This means, all of the ingredients should be mostly “whole” (real food) and it shouldn’t have any ingredients that you don’t recognize or can’t pronounce. I love Ezekiel 4:9’s Sprouted Whole Grain tortillas. You can find those here. 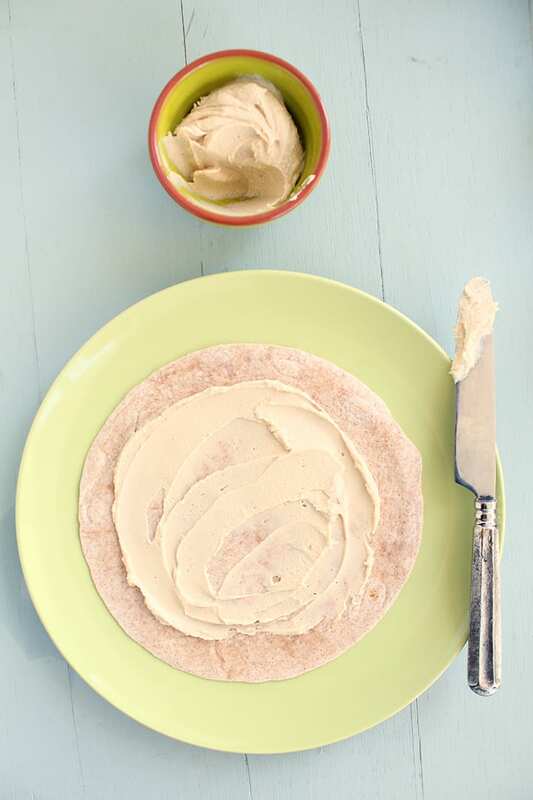 Step 1: Spread hummus over your wrap, leaving about 1 inch from the edges. 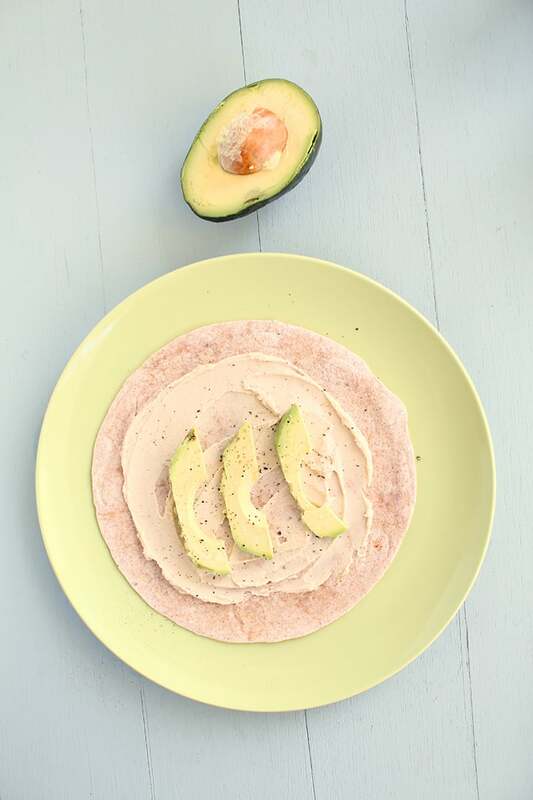 Step 2: In the middle of the wrap, add avocado and season lightly with salt and generously with pepper. Step 3: Top over the avocado with shredded carrots (or spiralized, if you want!) and beans. Step 4: Top the veggies with a fistful of zucchini noodles. Step 5: Top everything with feta. Roll up, cut in half and secure each halve with a toothpick! How easy? I eat this for lunch and it fills me up for the rest of the day and into the evening – it lasts be until dinner. As Rachael Ray would day, this is definitely yum-o. 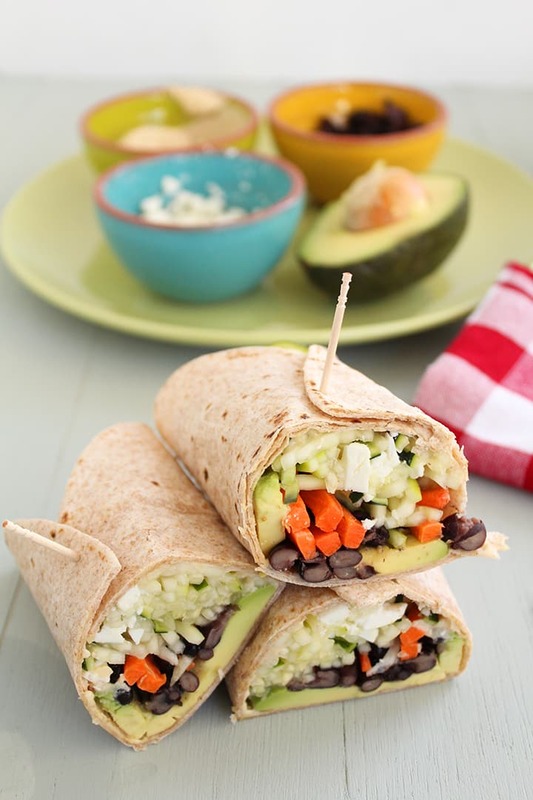 What would you put inside your veggie noodle wrap? Place the wrap on a large plate. Leaving one inch from the edges, spread out the hummus. Top the hummus with avocado and season lightly with salt and generously with pepper. 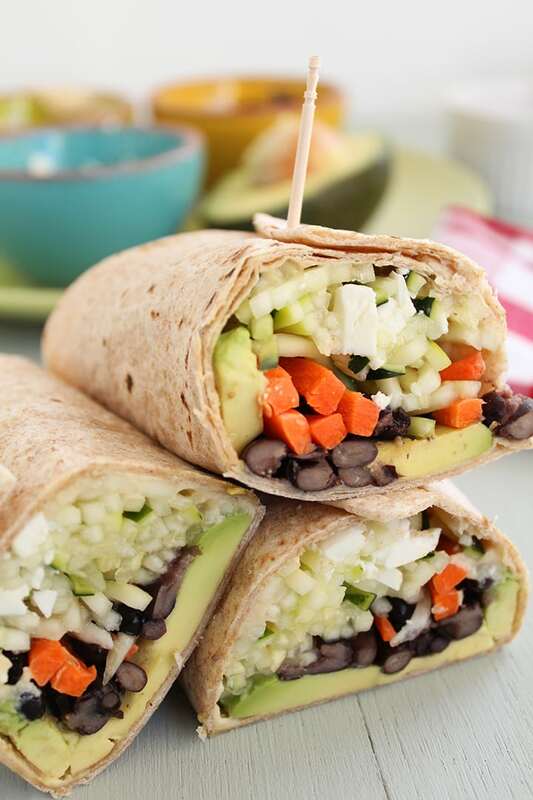 Top the avocado with the carrots and beans. Top the veggies with the zucchini noodles. 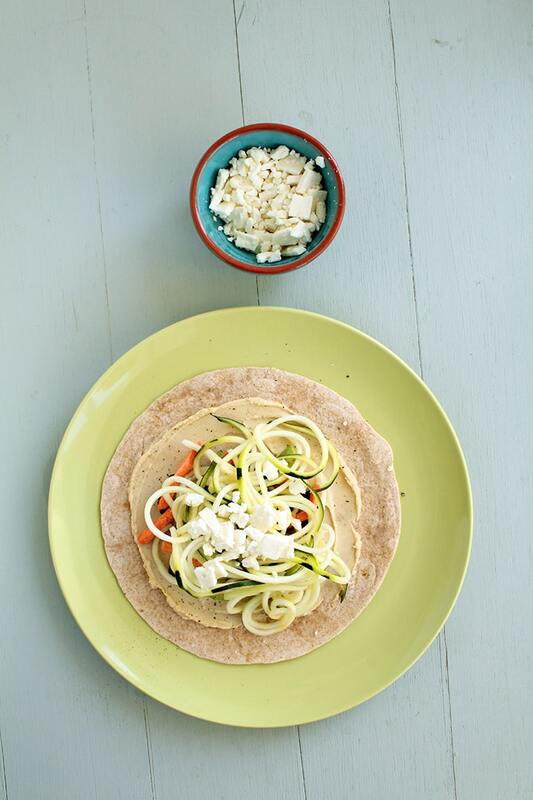 Top the zucchini noodles with feta. Roll the wrap up and cut in half to make two parts. Secure each part with a toothpick and enjoy! Your recipes look wonderful. Love your creativity. 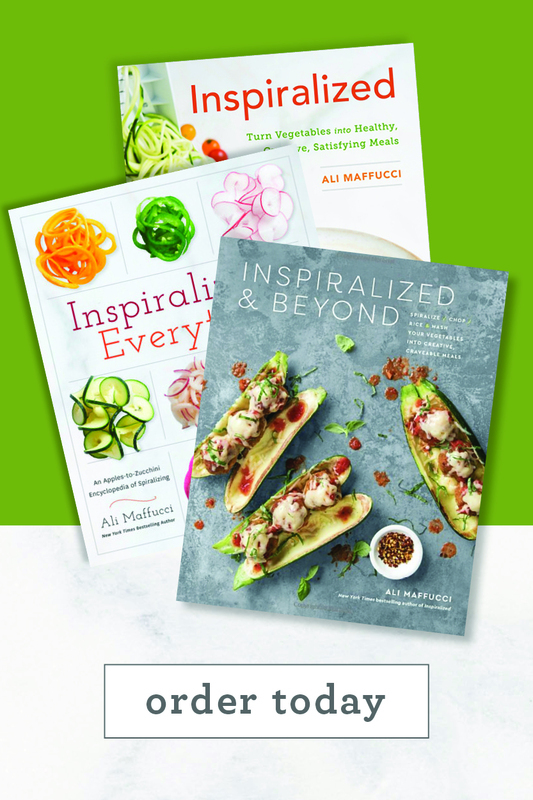 Cannot wait to try the zuchini bacon mushroom kale frittata! Keep up the great work! Its much appreciated! 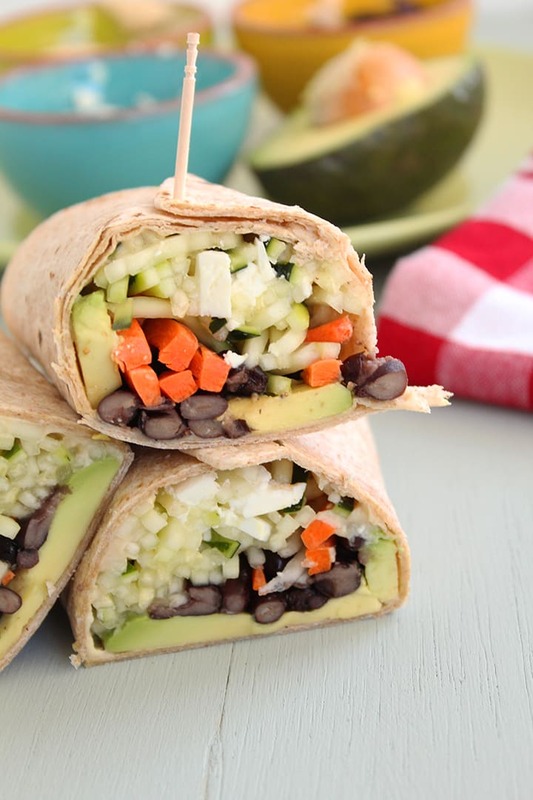 It looks great, but I wish the recipe was using soften collard greens instead of glutenous wraps. Eugenia - these wraps aren't glutenous! They are Ezekial Sprouted wraps, I highly recommend them! The ingredients are Organic Sprouted Wheat, Filtered Water, Organic Sesame Seeds, Organic Sprouted Soybeans, Organic Sprouted Barley, Organic Sprouted Millet, Organic Sprouted Lentils, Organic Sprouted Spelt, Sea Salt. I am looking for avocado recipes and came across this one. Looks so light and fresh. I need to try this one. Oops - read it as "gluttonous" my bad! Get a grip! Get creative and adapt to your own liking or needs. Thanks for sharing. Just ate this wrap for lunch. My first in spiralize recipe. While mine didn't turn out quite as pretty, still delicious. Thanks! Great question! I was wondering this myself. So delicious - my hubby and 9 year old daughter loved it too. 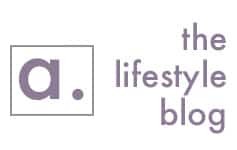 Thanks for your sharing your recipes! Can't wait to try more! Hummus: one can chickpeas partially drained of water; one clove peeled garlic, about a teaspoon of salt, 2 heaping tablespoons of tahini paste (stir it first to combine the oil and the paste), lemon juice (depends on your taste, I'd start with about a half a juicy lemon and see if you think it needs more and add gradually). 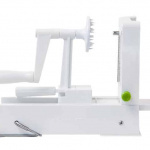 Puree in the blender or food processor. If it's too thick, just drizzle some water in till it thins out a bit. and voila! bon appetit! Just made my version with zucchini and carrot noodles, turkey slices and feta on a rice wrap..saving them for lunch..but I did sample one, and it's delicious. I didn't use hummus..but a little vinigarette on the veggies. 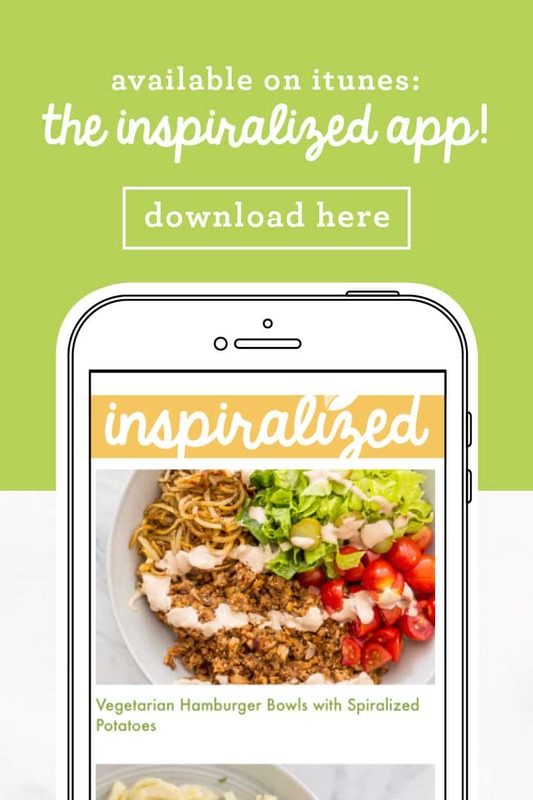 I uses your recipes for inspiration...and to trick my hubby into eating healthier ;). 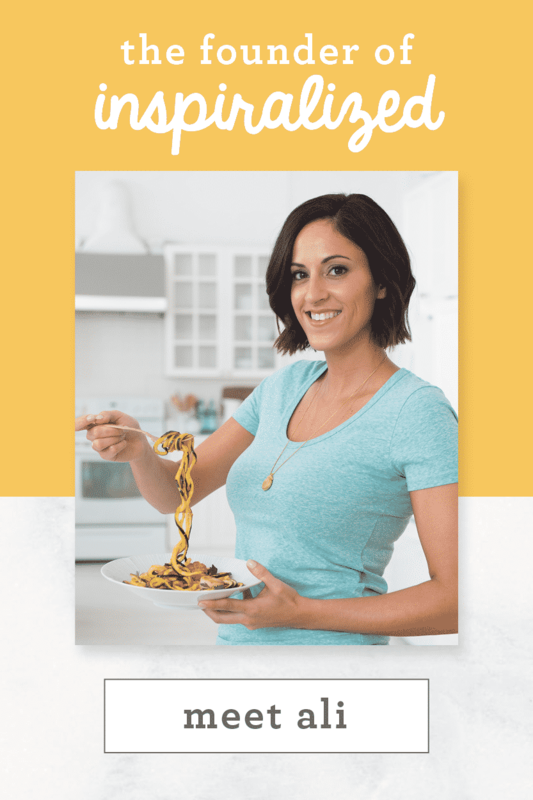 This was my first spiralizer recipe and has since been made (and recommended!) many, many times over! Delicious and filling! I am going to make these this week. They look great. I wish you had included nutritional information. Need to keep track of calories and carbs. 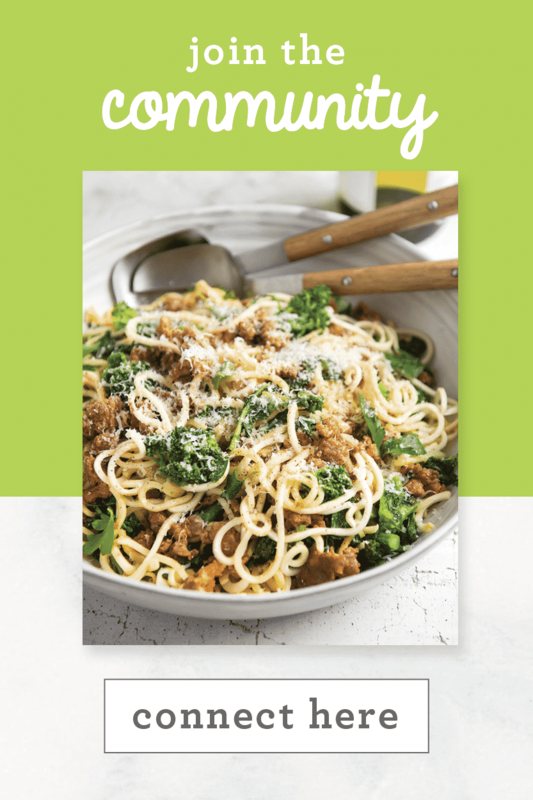 This was the first recipe I made with my new spiralizer. Best. Lunch. Ever. I used to make hummus once a month; now it's close to once a week; same with black beans. The avocado was my only concern. I don't like wasting food but really don't like eating an avocado once it's turned brown. Easy solution was to make two wraps, one for me and one for a work colleague. 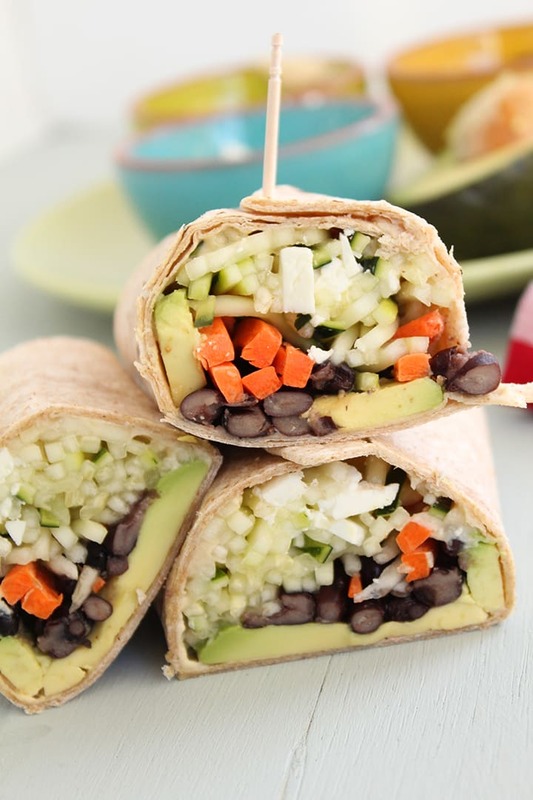 I brush the remaining half lightly with lemon juice, wrap it tightly and make these veggie wraps for lunch again the next day. They are so tasty and soooooo filling that some nights I will have just yogurt and fruit for dinner.